For 50 years and beyond, Evergreen Group has relentlessly explored more possibilities, building a comprehensive network at sea, on land and in the air. Our pursuit of service excellence leads us to navigate our way to every corner of the world, enriching people’s lives and creating a better future. 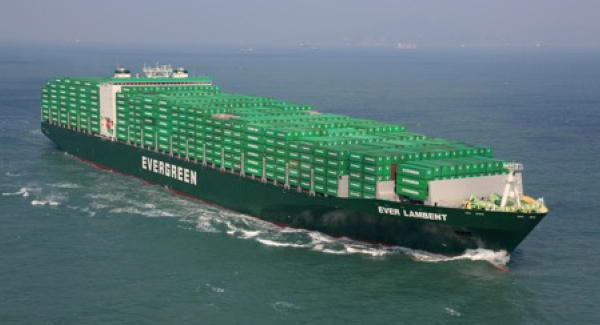 Composed of the five shipping companies of the Evergreen Group, Evergreen Line is one of the largest container carriers in the world, delivering a capacity of approximately 1,200,000 TEU. ‘Evergreen Line’ refers to Evergreen Marine Corp. (Taiwan) Ltd., Italia Marittima S.p.A., Evergreen Marine (UK) Ltd. and Evergreen Marine (Hong Kong) Ltd. and Evergreen Marine (Singapore) Pte Ltd. Evergreen Line was established and has grown in response to the requests and expectations of global customers and its maritime activities contribute more than $2.7 billion to the US economy. As part of the East/West Trade OCEAN Alliance, Evergreen has the ability to provide cargo space on 350 vessels to 114 ports with 284 port calls per week. The company’s global network offers 316 offices and agents located in 112 countries around the world. The carrier has been certified by the Customs Trade Partnership Against Terrorism (CTPAT) since 2002. Since May 2004, all vessels operated by Evergreen are certified by the International Ship and Port Security for compliance. Evergreen’s E-Commerce capabilities – considered among the most up-to-date in the industry - have been recognized by numerous groups and has been honored for excellence for four consecutive years by Log-Net, which gathers information from carrier users. To further enhance service quality and competitiveness, Evergreen is continuing its fleet renewal program as it continues to deploy vessels within the most suitable trades. The company recently announced it would charter twenty-four 1,800 TEU vessels, ten 2,500 TEU container vessels, and will also be building four 2,500 TEU container vessels. Introducing these new vessels will allow Evergreen to replace older tonnage currently in operation, optimizing, the efficiency of its operating fleet and enhancing its competitiveness within services. While building and upgrading its fleet, Evergreen Line intends to maintain each of the services it currently operates and will develop within new trades to meet the needs of its worldwide customer base. Evergreen recognizes its obligation to conduct affairs constructively as a corporate citizen and has established an occupational Safety, Quality and Environmental Protection Management System for its container ships and shore-based personnel. The company is committed to being a responsible steward of our surroundings and its S-type Green Ships are outfitted with numerous features specifically designed to protect our environmental treasures. During June 2018, Evergreen Marine Corp. raised its first Green Bonds initiative, financing $65.7 million specifically earmarked for improving energy efficiencies, preventing and controlling pollution and developing strategies for a sustainable environment worldwide.